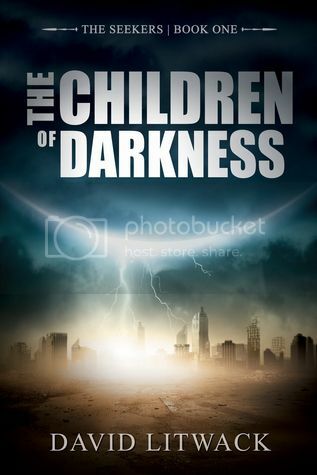 The Children of Darkness is the first book in the Seekers- series by David Litwack. It’s a story about dystopia, a world in the age of Light. The Temple of Light governs the world, guiding people how to live their lives so that the darkness may never rise again. But like with every theocracy, there are good things that protect people and there are bad things, that hurt and subordinate people. After a slow start, the story picks up speed and takes the reader to an adventure with the three main characters; Orah, Nathaniel and Thomas. They discover a secret, that has been kept for a thousand years and set out on a quest to reveal the truth to everyone. I liked the Litwack’s view on dystopia and on what is present and what is the past. Very intriguing. The three friends eat lamb an vegetables on their journey and even before that scene, I had an idea of rustic, simple meat dish to prepare for this book’s blogpost. The quote I’ve chosen is from Orah’s journal. The meaning: To right a wrong. The Temple and its teachings exist for a single purpose – to keep the people from questioning the vicars. What are they hiding? The hope: To lift the constraints on my people. As the first keeper told Nathaniel, to give them a life of possibilities rather than a life of limits. The fear: To let the vicars or anyone else set my mind. To aspire to be less than I might be. To be unworthy of another’s love. There’s an update in the Jukebox for this story. 1. Take the lamb to roomtemperature at least half an hour before cooking it. Preheat the oven to 150 ‘C. 2. Peel the turnip and rutabaga. Dice them into sugarcube size. Add them into pan with water and bring it to boil. Cook them until almost done. 3. Take cast iron frying pan, heat the pan in high heat. Add 1 tbs butter and melt it. 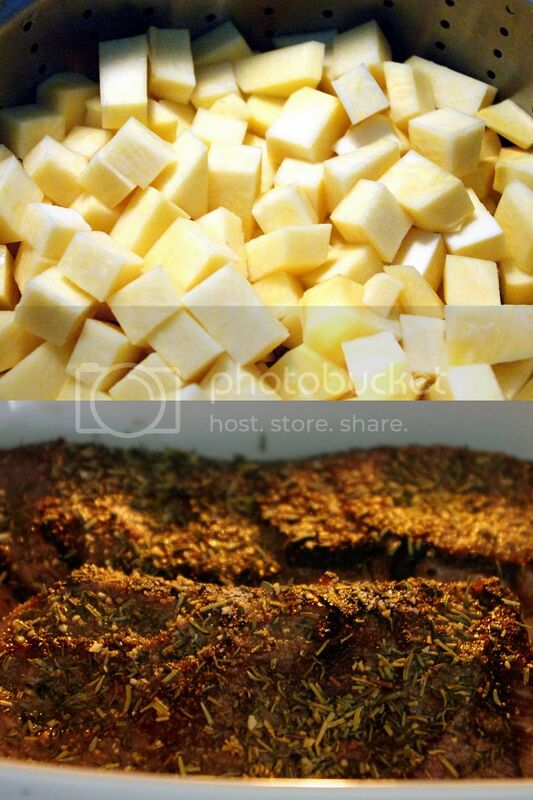 Then add the sirloins and sear them on both sides. 4. 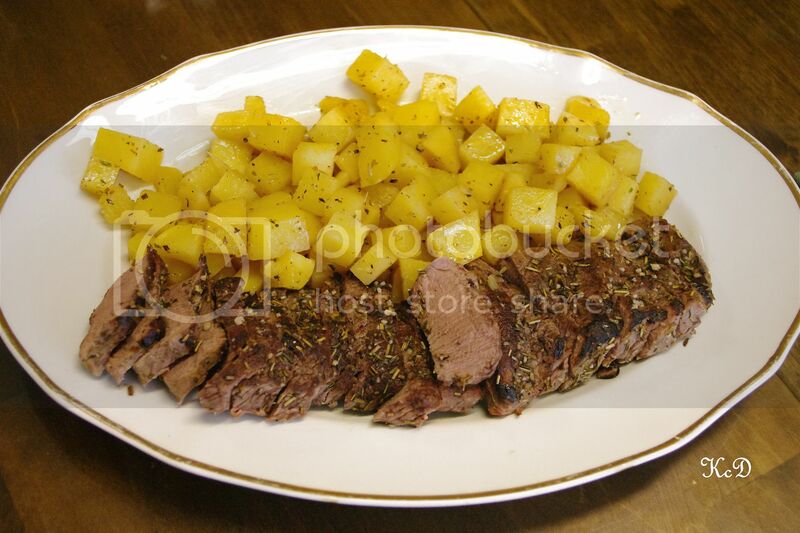 Set the lamb into a oven dish, season with dried rosemary and thyme, ground black pepper and salt. Cook in the oven until done, about 20-25 minutes. 5. Sieve the water out of the turnip and rutabaga cubes. Take a frying pan, heat in medium heat. Add 2 tbs butter and melt it. 6. Add 2 tbs honey into melted butter, pinch of cinnamon and 1 tsp oregano. Mix it and add the turnip and rutabaga. Sautée them until beautifully glazed. It took a while reading, before I could decide whether I liked it or not. This book definitely took a little time to gain momentum and really start the journey. And what a journey that was! Orah, Nathaniel and Thomas live in the Little Pond in the age of Light, which was preceeded by Darkness. The Temple of Light defeated the darkness and now governs the world with strict rules and guidelines to prevent the darkness ever prevailing again. Thomas is chosen for a teaching in the Temple City and he returns the village a changed man. When Orah is chosen next, Nathaniel decided to save her, offer himself in her place. That was the plan, but fate had decided otherwise. When Orah and Nathaniel return to Little Pond, they have learned such things that they must take action. The three friens set out on a quest that has far-reaching outcome and life as they know it, will never be the same again. David Litwack has written a book of dystopia that has very intriguing view of the world and outcome of human achievements. The quest is an adventure and Litwack’s way of writing makes it fascinating one. The book is also a story of friendship and choices, whether to save yourself or risk evertyhing by trying to make the world a better place for everyone. Next PostTrudy Stiles:Epic Love OUT NOW!